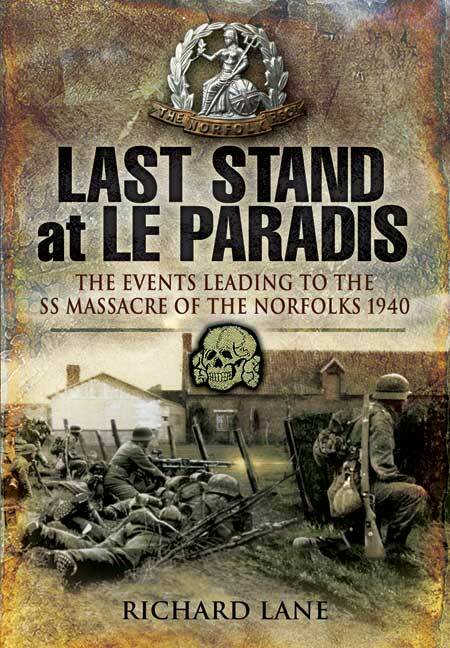 You'll be £19.99 closer to your next £10.00 credit when you purchase Last Stand at Le Paradis. What's this? The first months of World War Two were relatively quiet but after deploying to the Maginot Line sector during January 1940 they came into contact with those Germans manning the West Wall or Seigfried Line. A patrol led by Captain Peter Barclay entered German territory and was attacked. As a result, the first decorations of the war were awarded. Barclay received the Military Cross and Lance-Corporal Davis the Military Medal while the remaining members of the patrol were mentioned in despatches. Two days later, the battalion suffered a tragic first when Lieutenant Patrick Everitt was mortally wounded while leading a daylight patrol. Everitt was the first British officer to be killed in action in the Second World War. When the Germans launched their offensive on 10 May, the BEF advanced to the River Dyle in Belgium. Within days the Allied Armies had been forced onto the back foot by the speed and ferocity of the German breakthrough. The Norfolks withdrew to the River Escaut where the BEF was to make a stand. On 21 May, the Company Sergeant Major George Gristock courageously destroyed some German machine-gun posts and won a posthumous Victoria Cross. As the Allies withdrew towards the Channel, the Norfolks were ordered to defend a section of the Canal Line between Bèthune and Le Cornet Malo. Already down to around half strength, the Norfolks held their sector from 24 to 27 May. By the time the order was issued for them to withdraw, it was too late, Battalion HQ at Duries Farm, Le Paradis was surrounded and they had no alternative but to surrender, although 'C' Company held out until the following morning. After the surrender, ninety-nine men of the Battalion were marched to a paddock where they were machine-gunned in cold blood by their SS captors. Miraculously, two men survived and were instrumental in bringing the SS officer responsible, Fritz Knoechlien, to justice after the war. When the remnants of the battalion reassembled in England, its strength was just five officers and 134 other ranks. The remainder had either been killed or captured as POWs.